Early-stage planning and initial enabling works necessary to create a new, multi-million sports and leisure facility in Craigavon are under way, paving the way for the construction of a new flagship health and wellbeing destination with facilities that will rival the best available anywhere in the world. Armagh City, Banbridge and Craigavon Borough Council has confirmed that Farrans, one of the UK and Ireland’s largest and most successful building contractors, is preparing to move on site next month to begin initial early works for the new leisure development. Working closely with the council, the company has already initiated a proactive campaign to inform local communities about the impending works. After almost eight years since plans were formalised, the council said the highly-anticipated project, which has been future-proofed to meet the health and leisure needs for generations, remained on track to open in just over two years’ time. “With planning secured and an agreed work schedule in place, the council’s vision to provide transformational leisure facilities which will be enjoyed by existing and future generations for decades to come is at last being realised. Based in Northern Ireland but with offices across the UK, Farrans is an award-winning market leader in project delivery and has a wealth of experience across a range of sectors, including leisure. The company behind the award-winning £38 million Aurora Aquatic and Leisure Centre in Bangor, Farrans has also completed a major £15 million redevelopment of the existing leisure facility at Rushcliffe Civic Centre in Nottingham, breathing new life into the area last year. It is also poised to work on constructing One Bankmore Square in Belfast – a planned scheme for the largest single office building in Northern Ireland. In addition to the staff that will run the new leisure facility, the project will create more than 500 jobs during the build. The construction phase alone is also expected to deliver an estimated £6.5 million in direct wages to the economy. “We’re excited that this transformational, multimillion-pound development project will soon start to take shape and we look forward to further engaging our communities, updating them on new build plans and on progress throughout. Once complete, the new gym will be the largest available on the island of Ireland, featuring state-of-the-art equipment, spin and dance studios. 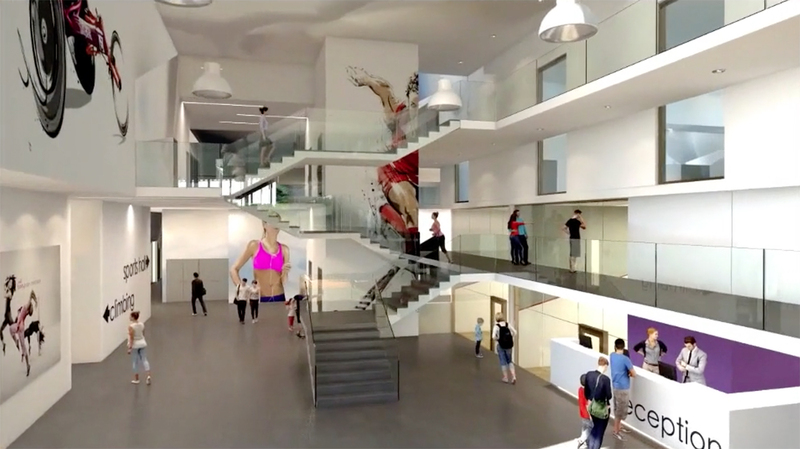 It will also include an extensive health and beauty suite, activity rooms, squash courts and a large sports hall suitable for a variety of sporting activities, as well an extensive outdoor watersports provision. Plans for the new leisure complex – first floated in 2010 – are part of a wider and ambitious regeneration programme across the ABC area. It will represent the largest capital project ever undertaken by the council since its formation in 2015 and will provide an enhanced facility designed to improve the quality of life and wellbeing of the whole borough. The total project cost is estimated at around £35 million. For more visit the South Lakes Leisure Centre section of our site.